Easter is less than two weeks away now and the long bank holiday weekend is on the horizon. For spas and salons, it’s one of the busiest times of the year, asides from Christmas, and it can lead to a mad rise in sales. It also provides a golden opportunity to really step up the game with your marketing, to bring in the kind of big profits that all salon and spa owners dream of. Christmas isn’t the only time of year when decorations are king. Easter brings with it bright and pastel colours, cheery farmyard motifs and, of course, everyone’s favourite thing – Easter eggs! Dress up your salon or spa front of house to lift the spirits of your clients and put them in that springtime mood. Opt for baby pink or baby blue colouring with highlights of light green, purple or yellow. 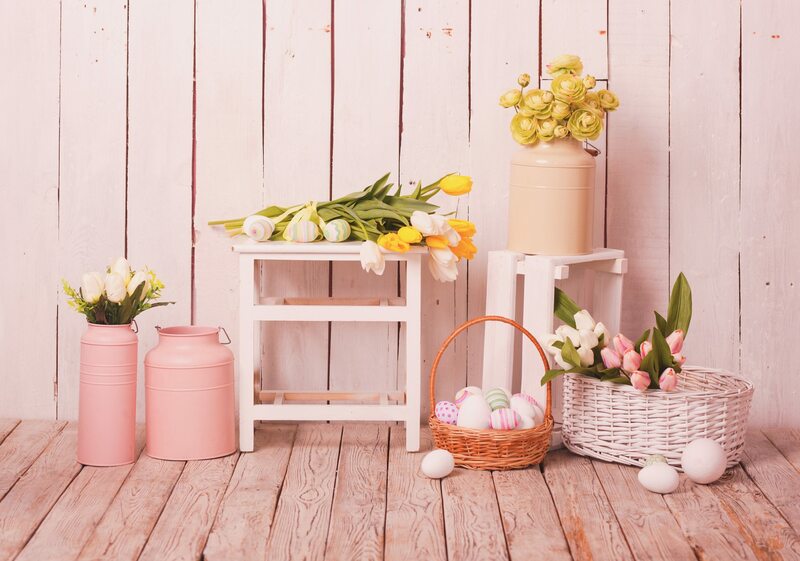 Dress your shop window with springtime blooms like daffodils, tulips, bluebells or even hyacinths, and invest in colourful baskets to show off your products. Finish with flourishes of brightly coloured eggs, fluffy baby chicks and lambs (not real ones of course!) and Easter bunnies to really put your customers in that springtime mood. Your premises isn’t the only thing that you can give an Easter refresh to. Once you’ve decided on your ideal springtime theme, you should keep this consistent across all your online channels too – including your website, social media pages, emails, gift certificates, window signage and displays, and even your specials and promotional material. Let the world know that you’re in the Easter spirit! Everyone knows Easter is all about the kids. But the problem with mums having the little ones in tow is that they’re unlikely to go and pamper themselves in your spa or salon because of the potential for annoying other customers – so get creative! 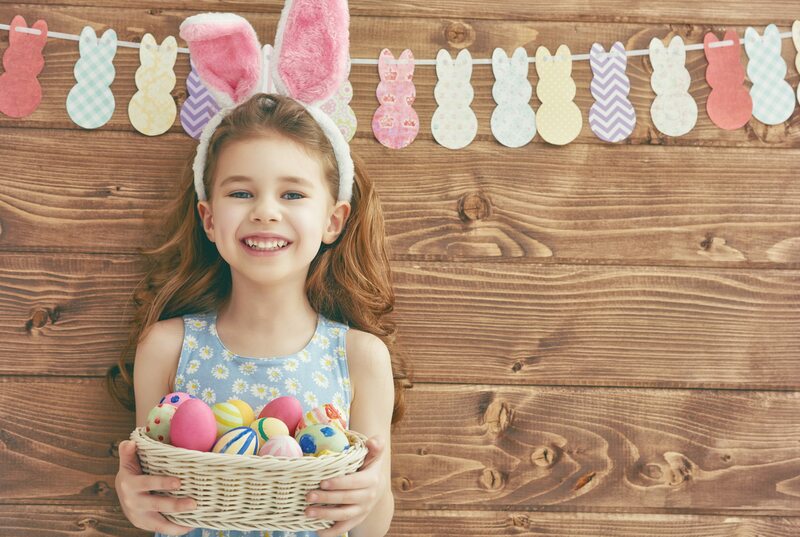 Organise an Easter Egg Hunt for the little ones around your salon or spa, so mum can get her hair done or have a facial in peace, without worrying what her little tykes are getting up to. You could even throw in extra free discount vouchers for mums that can be redeemed in April (which is sure to be one of your quieter months), and this may be enough to coerce them to come back next month. It’s important to note, extra free vouchers don’t involve giving a real discount – they usually involve things like a free blowdry with a cut and colour or an extra half an hour of a facial if they book a 60-minute facial. And if you make it into an annual event, you’ll probably find it brings a lot of repeat business. 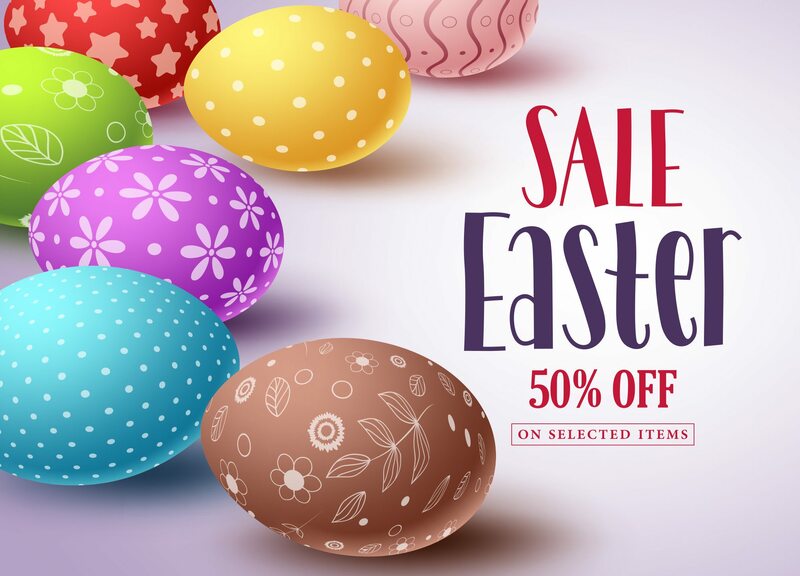 Easter is a terrific time to test out some of your more creative and fun ideas for promotional offers at your salon or spa. Get your customers interested in what you offer with discount vouchers for their next visit in the lead up to the big day, offer product bundles in your new colourful baskets and knock £5 off the price in the week preceding or even award your most loyal clients with a gift card as a lucky surprise. Come up with quirky puns and names for promotions to make them all the more fun and exciting, like Eggspecially For You, A Lucky Egg or All Your Eggs in One Basket and be sure to share these on your social media channels and website. These small promotional ideas can have big benefit to your business – and your profits! 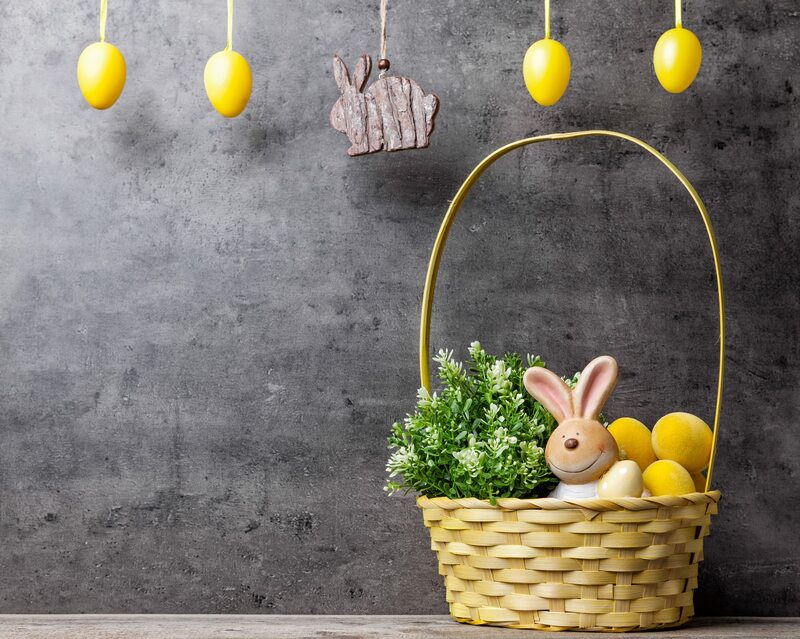 With social media becoming such an integral part of any business’ marketing strategy, it’s important that you get your Easter marketing down to a T to rake in those big profits. 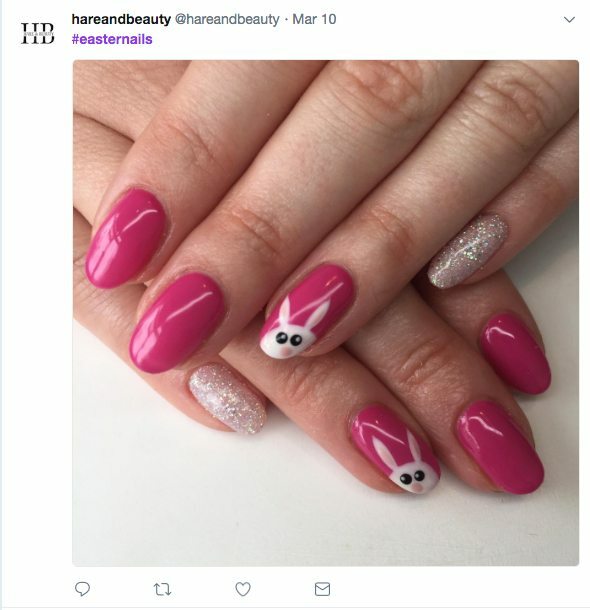 Post Easter-inspired photos themed to your salon or spa – so if you own a nail salon, post images of Easter-themed nails; if you own a hair salon, go for traditional Easter motifs in hairstyles; if you own a spa, post images of typical spa treatments given an Easter-twist. And make sure to get in on those popular hashtags to make yourself known! Utilise #happyeaster #eastersunday #eastereggs, #easterfun and even #easterbunny to get your cool Easter-inspired content out there and seen by the masses. If you’re lacking in photo inspiration, don’t panic! You can even post interesting Easter facts in place of these, just to let people know you’re feeling festive. One of the greatest generators of interest on social media is competitions, and it’s proved to be successful time and time again. 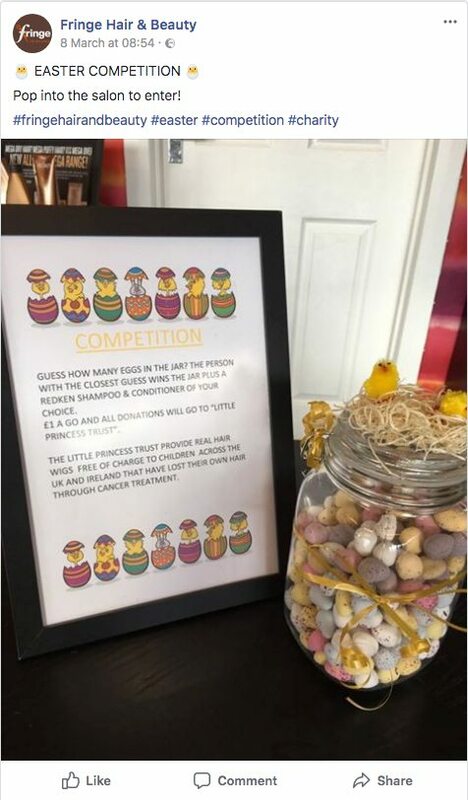 Take an Easter-themed approach by posting Easter trivia quizzes and questions, ask entrants to like and share the page and the post, and offer up gift cards, vouchers, free treatments and even gift baskets filled with enticing products and treats away as prizes. You’ll be amazed the amount of reach a competition can have – everyone loves to win something and you’ll have entries coming in left, right and centre. Just remember those to add in those all-important popular Easter hashtags if you want to get it out to a wider audience and take in more business! What are your tricks of the trade for marketing your salon or spa during Easter? Share your comments with us on Facebook or Twitter. Salon Gold also provides insurance for a range of salons and spas. For further information, please visit our Salon Insurance or Spa Insurance page.